What to do in the Riviera Maya in Mexico? Staying in the Riviera Maya is a way to discover the different facets of Mexico. With sites like the Mayan ruins, jungles, beaches, nature reserves and parks, great holidays are guaranteed there. 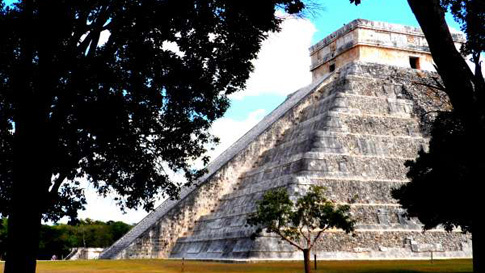 In Cancun, you must not miss the ancient Mayan ruins of Chichen Itza. The site is known worldwide and we are convinced that many millennials will continue to admire the Temple of the Warriors and Pyramid Kulkulan. About a hundred kilometers south of Cancun we reached the village of Tulum on the peninsula of Punta Allen. It is home to a fortified city of the 13th century with the Temple of the Frescoes and Castillo. From there, heading west into the Yucatan jungle, Coba is home to the great Mayan cities, moreover, we find one of the great Mayan pyramids still underground. To close the historic visit, it is recommended to reach Uxmal, the most beautiful of Mayan cities. She holds the Pyramid of the Magician-one of the tallest Mayan pyramids. The coastline of the Riviera Maya is rich in natural beauty. If you want to relax, Playa del Carmen is just a one hour drive from Cancun. This area encourages relaxation and well-being in a unique atmosphere. In Cozumel, the beaches are characterized by fine white sand with turquoise waters immersed in a relaxed atmosphere. Also in the area of Playa del Carmen you will find Xcaret, an authentic park packed with an array of attractions such as swimming with dolphins, snorkeling in coral reefs and visiting underground rivers. In Xel-Ha, which is located south of Playa del Carmen, you will see that it is rich in landscape and marine life and diving will be great at this spot. As for land entertainment, hiking or cycling in this fantastic jungle will be an original and rare kind of adventure. Other activities like the zip line is not to be missed for those who love thrills. For aquatic sports, hotels offer various leisure activities such as water skiing, jet skiing, surfing, racing, kayaking, wind surfing and catamaran. In Cozumel, diving enthusiasts will be spoiled by the richness and vastness of the site which is completed by the underground caves and cenotes. It is also possible to do horseback riding from the beaches to the surrounding jungle. As for golf, world famous courses are designed there. In short, the Riviera Maya is worthy of being an elite destination in this part of Mexico. You can also explore on a cruise with different companies .Various agencies offer programming for your journey from departure to arrival, as well as your activities.